The perfect customer experience… but for who? Everyone is talking about creating the perfect customer experience. It is THE buzzword when you are working in retail. Customers are more demanding, they want to be entertained, they want a brand to be transparent and basically be a part of every single step in the process. Omni-channel strategies are gaining a lot of attention but in order to not only tailor your marketing and other business processes to specific channels, customer research is essential, too. Since personalisation plays a huge role in retail nowadays, it is important to know who your customer is and how to approach him/her. But not every strategy you build applies to the needs of all your customers. Do you actually know who your customer is? You might see a lot of articles popping up focusing on specific generations and how retailers should address them. Most of the time the talk is about Millennials. It seems like everyone thinks that they are the only target group that should be thought of or at least put the most focus on. But the range is way bigger than that. We broke it down to the 4 generations that could be your customers. You have to know where your target audience is and how they shop in order to reach them at the right time, on the right channel with the right message. Some weeks ago, we talked about how communities are building retail. It is important to get to know which communities your customers are part of. Learn what their interests are, what social tendencies they have and then show up there first. Or your competitor will. The generation of baby boomers is the one you will probably see mostly in-store. They highly value the interaction between sales associates and customer. They would prefer to shop at their local store rather to shop online, even if the wanted product is available both ways. They are very service-oriented and would go that extra mile for an excellent customer experience. The quality of a product matters more than price, yet alternatives and flexibility play a huge role in the consumer behavior as well. Connecting on a personal level with them can increase their spending and brand loyalty enormously. Mostly their interest lies in the areas of health, wellness and energy. There is a great misunderstanding from retailers’ side that baby boomers don’t use the Internet. In fact, they are quite active on Social Media, with Facebook ranking number 1 of the most used. Consumers of this generation are very keen on investigating about products online before they make purchases. They want to make the best deal possible and as the most self-reliant generation it comes as no surprise that they will invest a lot of time in their research. This also makes sense considering that they are highly educated, with 35% of them holding degrees in the US, compared to 19% of Millennials holding a degree. Most of them have high-earning periods in their lives. This makes them the perfect target for luxury brands, as they have an affinity for nice things and are proven to be the most brand-loyal generation. Generation Xers shop in a more conservative way and won’t be engaged by flashy advertising. They value ways of advertising that are practical and include a proof of performance of the products. Honest explanations of product usage will increase their brand loyalty. If they are satisfied with the service and the quality of your product, they will come back to you over and over again. People from the generation Millennials were on everybody’s radar recently. This comes by no surprise considering that they will soon become the largest living generation in the US. Also having a look at their spending will make you understand more why they are in such a spotlight. By 2020 their purchasing power is projected to reach $1.4 trillion. Quite impressive, right? Millennials are less brand loyal than their parents and are likely to spend more money on experiences rather than on tangible products. Web devices play a huge role in their life, let it be for Social Media, research or purchases. They are also known to be appreciative when it comes to omni-channel accessibility during their shopping journey. They want a smooth transition of all their purchases. If they are happy with the experience they are likely to share their opinion about a brand or a product online. Word-to-mouth is a key influencer when it comes to product consideration. 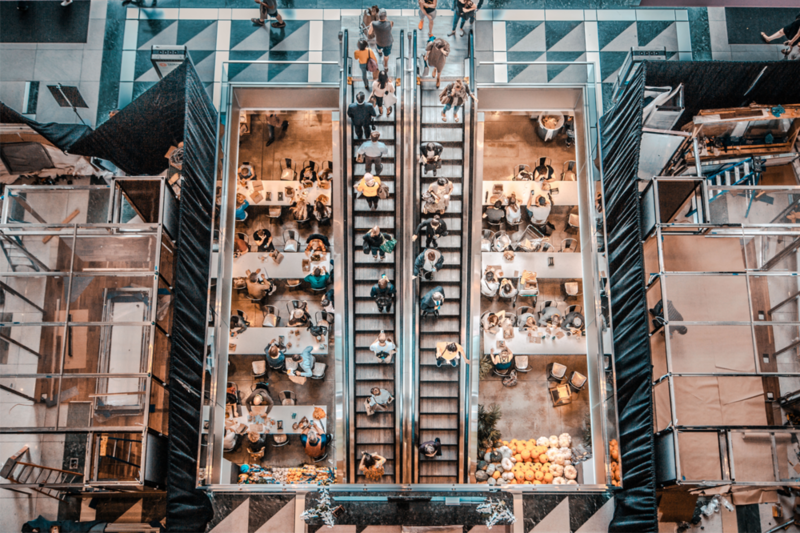 As Millennials see shopping as a social event (of course also for sharing it on Social Media), they value brick-and-mortar stores which are innovative and unexpected. This generation was practically born with a smartphone in their hands. They don’t know a world without Internet, which is why they expect their shopping to be easy, convenient and very fast. By 2020 they will account for one-third of America’s population. Generation Z is known for processing information rather fast. Nevertheless, their attention span is lower than of the other generations. They are constantly shifting between school work, checking their phone, and other regular distractions in the background. Multi-multi-tasking is like second nature to them. Comparative to Millennials, these consumers make a social event out of their shopping journeys and word-of-mouth is as crucial for them. Often, they can be seen as unofficial brand ambassadors as they share basically everything online. As they are very internet and tech savvy they expect retailers to create innovative shopping experiences and to include technology in every aspect of the journey. What can we learn out of this? At a first glimpse probably one of the most important things for the retail sector: brick and mortar is not dead. It just needs a re-invention to adapt to technological changes nowadays. Experiences and quality, those are things your customers care about. An omni-channel approach is inevitable if a company wants to survive. Even though some generations might prefer to shop in-store, they share opinions and research before or during purchases online. A combination is therefore vital. Especially when it comes to influencing keys like word-of-mouth. Customers who are satisfied with your products and/or shops should be able to share it on your platform with others. So be present wherever you can.